I have heard of carrot dogs, but never tried them before now. I am so glad I did, because they are life changing! 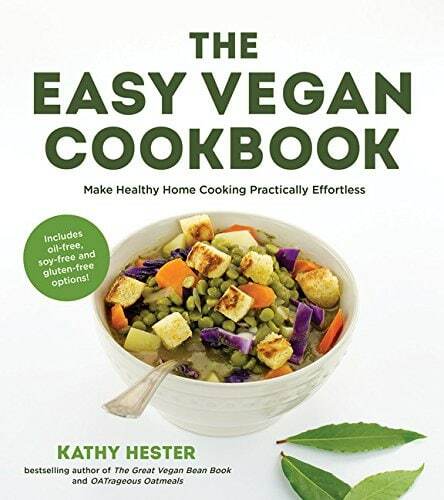 The recipe I used came from Kathy Hester’s new book, The Easy Vegan Cookbook: Make Healthy Home Cooking Practically Effortless . She is the creator behind the blog, Healthy Slow Cooking. Check it out! I was lucky enough to get a copy for review and let me tell you, the book is full of easy recipes! Some of the other recipes I am looking forward to trying are the Cauliflower Ricotta, White Bean and Kale Stew and the Pecan Coconut Chocolate Chip Bars! This book has 80 recipes that are easy and tasty. Not all are soy and gluten free, but she does give options to make the recipes soy and gluten free. This recipe for carrot dogs took like 2 minutes to prep and then it just marinates in the fridge. Super easy! 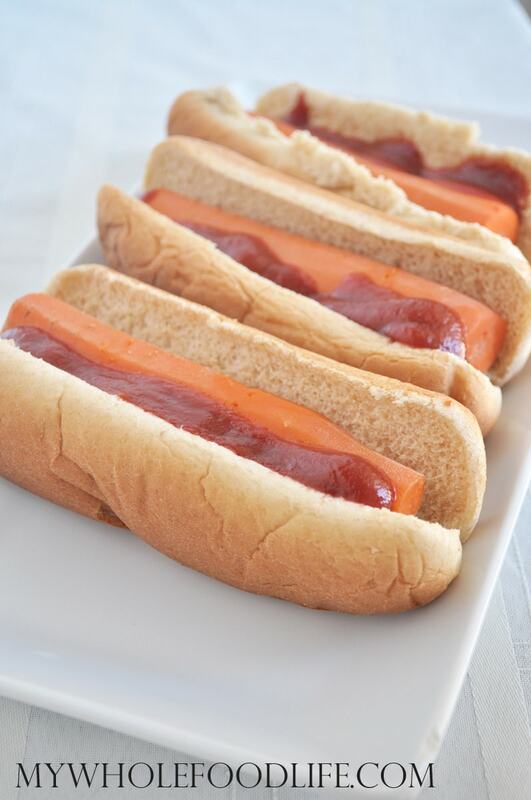 A healthier vegan hot dog option! Heat water in a pot large enough for the carrots. Bring to a boil. Then turn down to medium and add the carrots. Cook only until you can pierce them with a fork. Remove from pot and run cold water over them to stop them from cooking. In a container with a tight fitting lid, combine the remaining ingredients for the marinade. Tighten the lid and shake until everything is mixed well. Add the carrots in a container where they can lay flat. Pour the marinade over the carrots and marinate for 3-4 hours. 24 hours max. The longer they marinate, the more vinegar flavor they take on, so if you plan on letting them marinate longer, decrease the vinegar to 1/8 cup. To serve, preheat and oven to 350. Bake for about 10-15 minutes. You can also grill them if you like. Serve on a toasted bun or lettuce wrap with your favorite toppings. Recipe reprinted from The Easy Vegan Cookbook Copyright 2015 by Kathy Hester. Published by Page Street Publishing. Disclaimer: I was given a copy of this book for an honest review. All opinions are my own. It doesn't taste like meat at all. I also get grossed out by the taste of meat. It also does not taste like a carrot. I LOVED them! Great-thank you so much! I will definitely try these then!